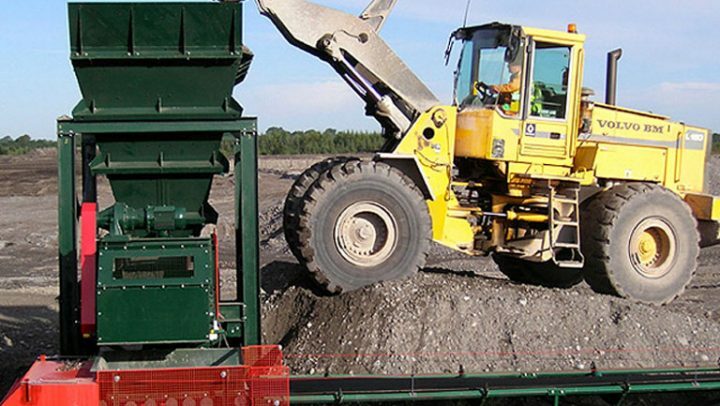 Mining and Quarrying Case Studies Highlights / AMH Ltd are highly skilled design, mechanical engineers and coded welders within the mining, quarrying and marine aggregates industries, offering a variety of Mining and Quarrying Solutions. 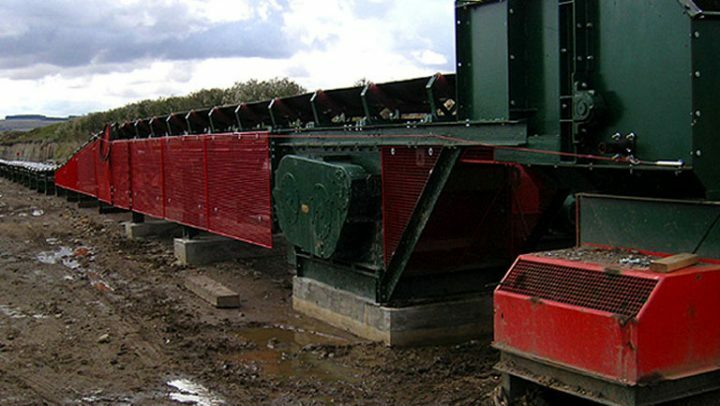 Working in partnership with our clients, we realise that quality and price combined with time line is paramount. 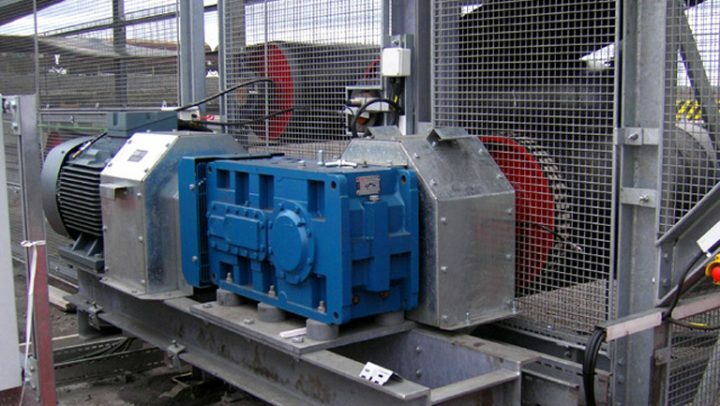 Our skill sets allow us to overcome the most challenging of problems to suit our clients requirements and budgets, as shown here in our case studies. 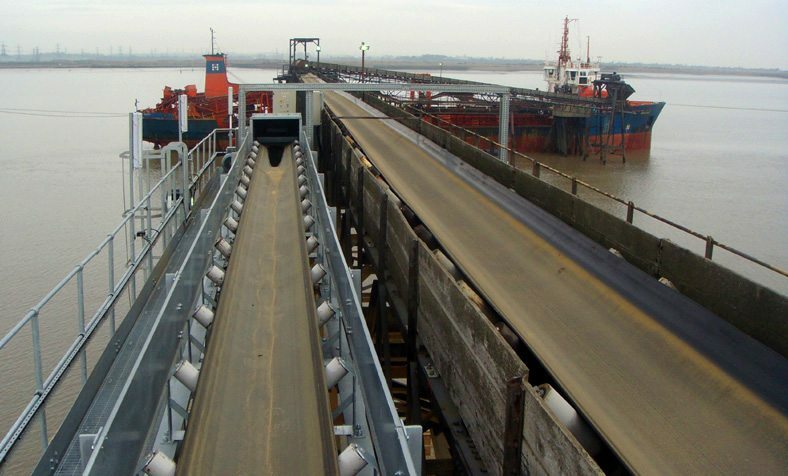 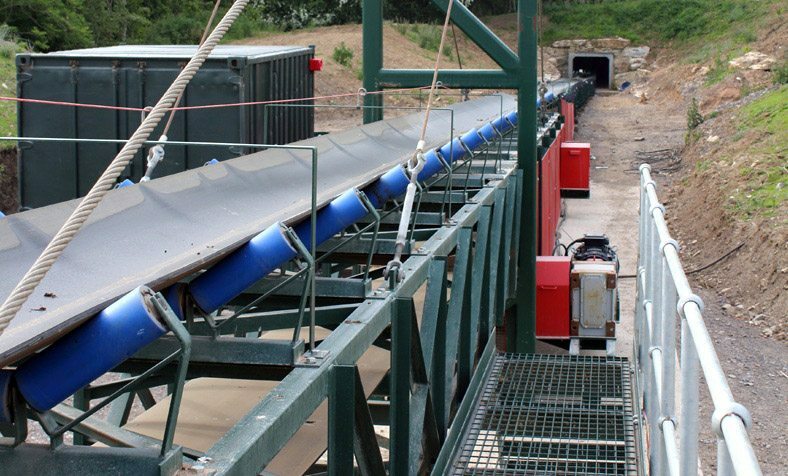 Our Mining and Quarrying Solutions skills can be demonstrated with the project undertaken for J Clubb Ltd in 2011/12 for the design, build, delivery and installation of a 600TPH stand and gravel barge loading conveyor system. 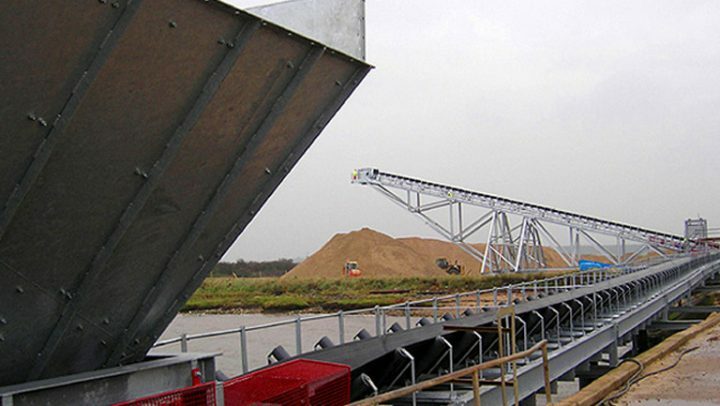 To keep costs within the clients budget AMH Ltd had to design the main barge loading conveyor to sit on the clients existing sea piles. 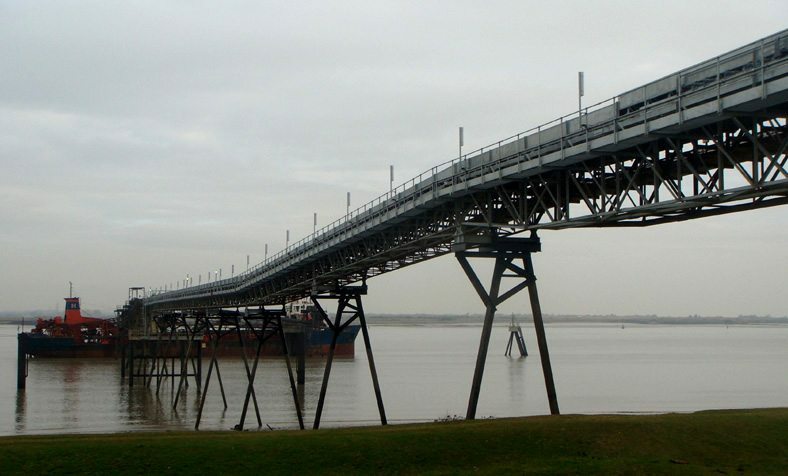 These piles already had the main ship to shore loading conveyor system sat on them, therefore AMH Ltd design bespoke knee bracings to fix to the existing piles under the ship to shore conveyor, this enabled the new barge loading conveyor to sit on the knee bracings in a parallel position alongside the ship to shore conveyor. 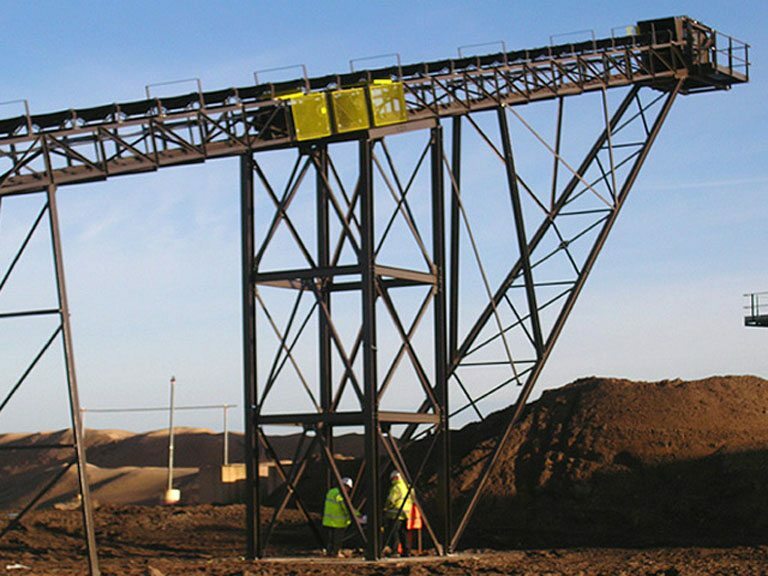 This challenge for our structural engineering and design team was achieved to the client’s satisfaction, saving the client time and money on the contract and doubling their production with our successful mining and quarrying solutions. 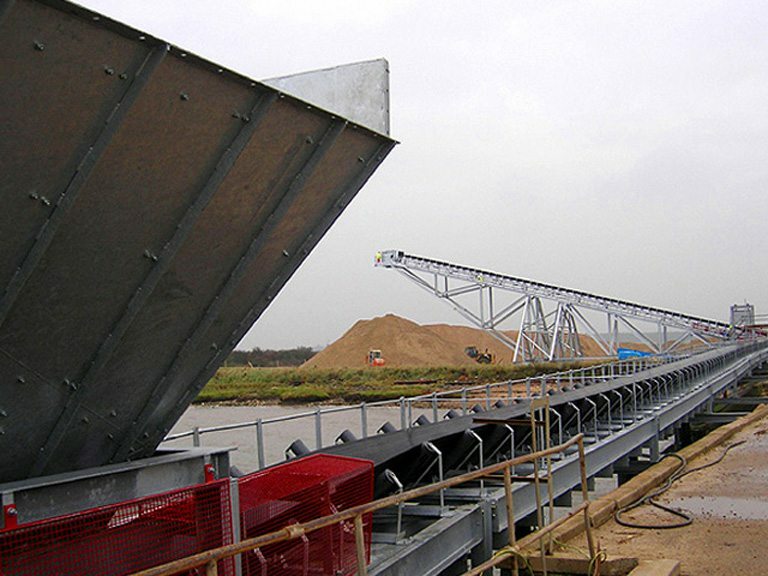 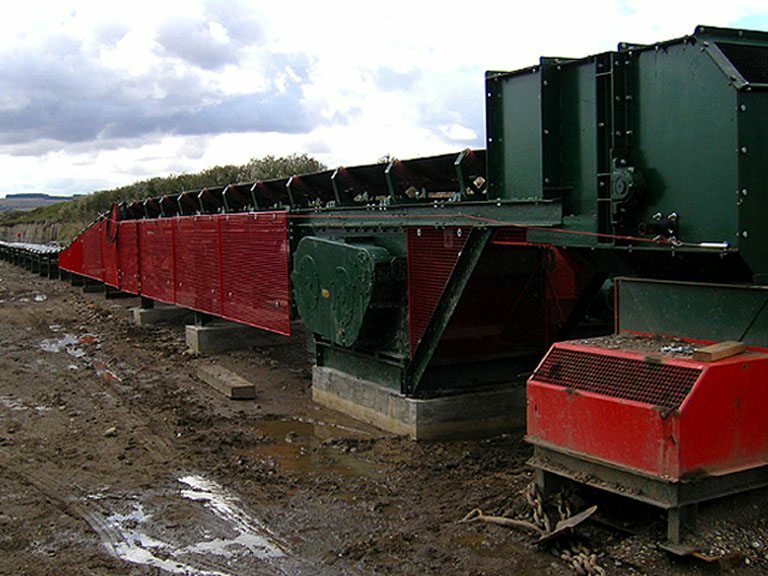 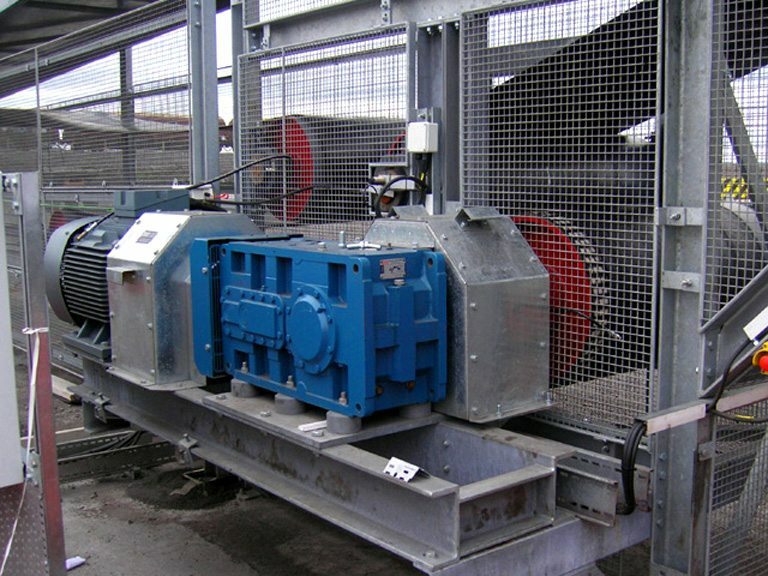 The project undertaken for the Sherburn Group Ltd at their Barton Quarry in 2012/13 for the design, build, delivery and installation of a 200TPH limestone overland ground conveyor system. 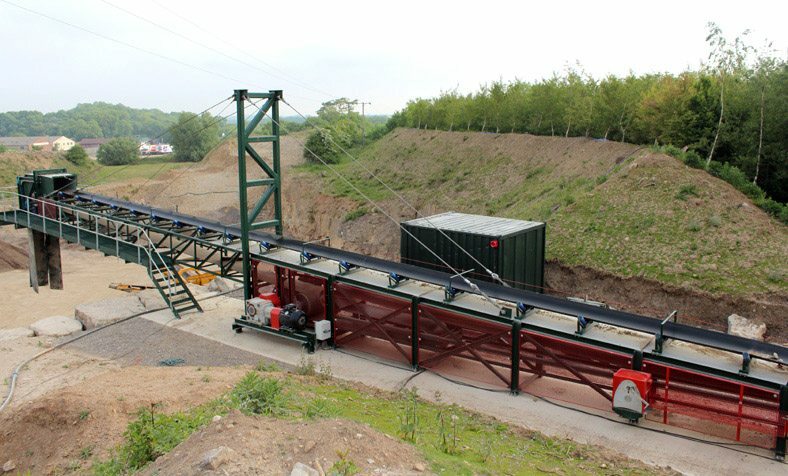 The client needed to take material from the new quarry face under a main public road and over the existing quarry cliff face to create a stockpile in the bottom of the existing quarry. 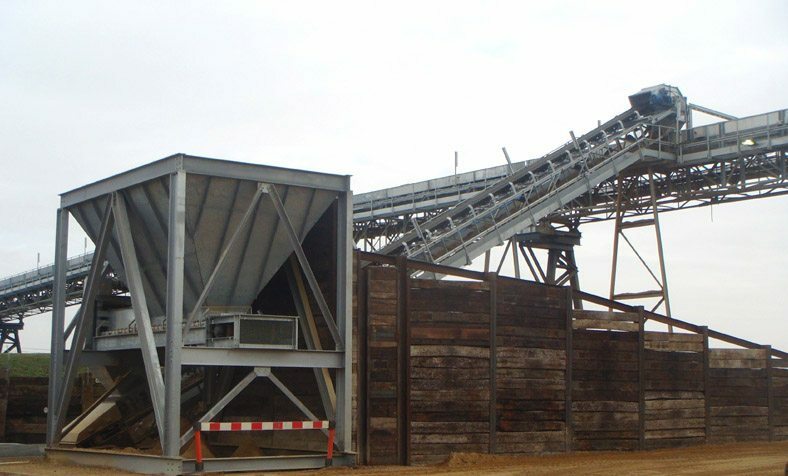 This was achieved by installing a concrete tunnel under the road to enable the ground conveyor to take material from the new quarry to stockpile position. 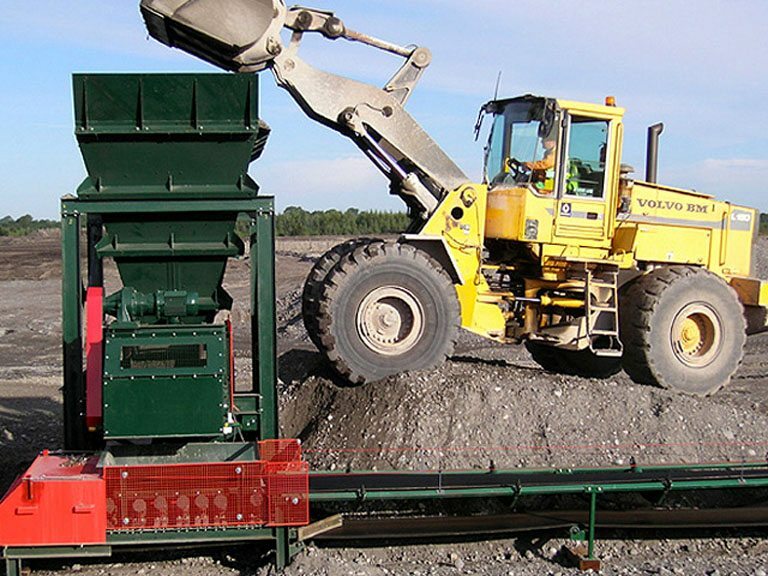 The stockpile needed to sit in the clients existing quarry floor with a 12mts radius to its base, allowing shovels to collect the material around the stockpile safely. 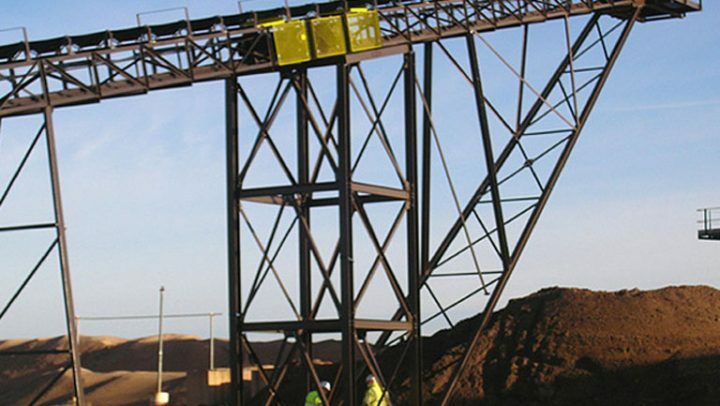 This was achieved by designing a lattice frame head jib section that was suspended over the cliff face by 12mts. 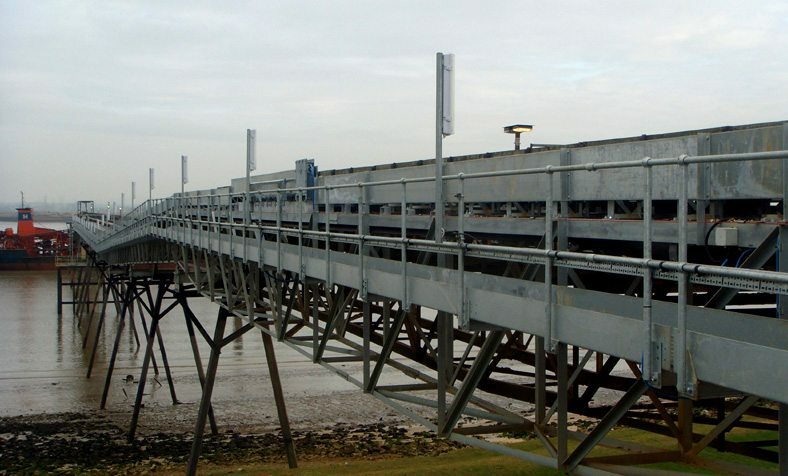 It was supported with an heavy duty mounted trestle complete with steel suspension ropes backwards and forwards. 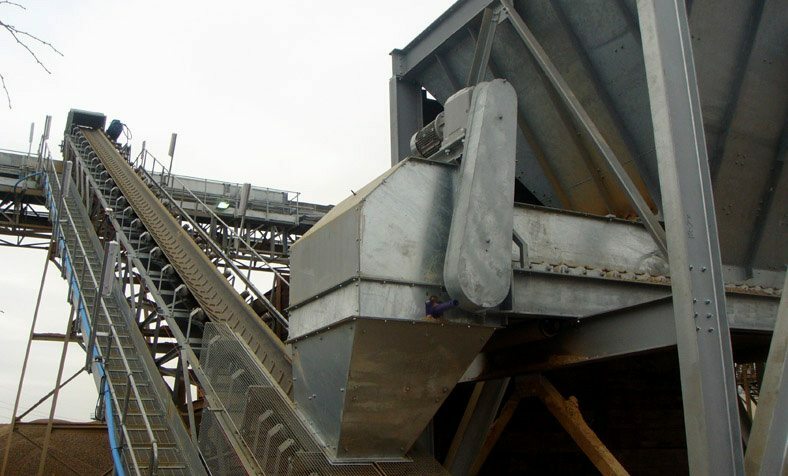 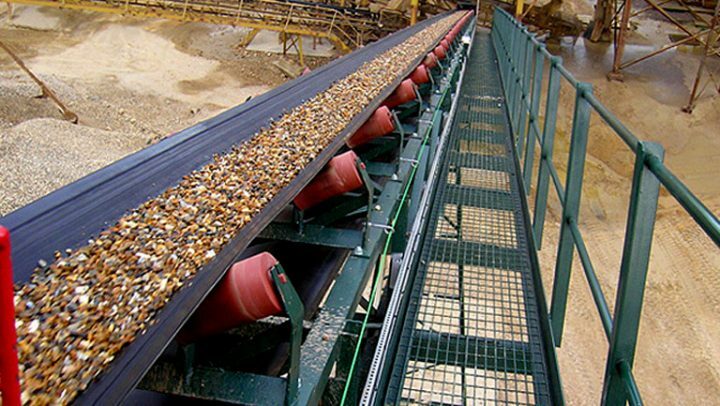 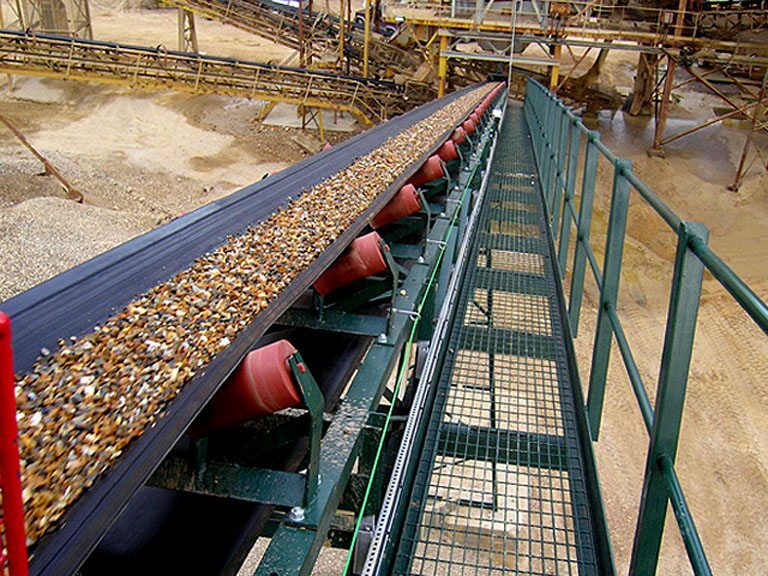 Once the conveyor position and design had been successfully achieved to the clients satisfaction, the installation ran smoothly and without any hiccup and within 2 weeks from the installation, the client was producing the limestone product onto his quarry floor.